Welcome back to another segment of MUCMonday. We didn't get one last week because I was kind of lazy and somewhat busy. This week won't be much better, because we only have two cards. 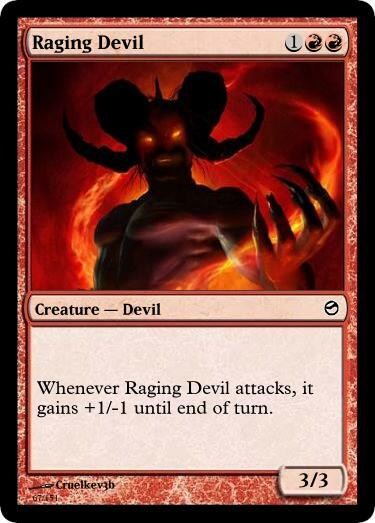 Whenever Raging Devil attacks, it gains +1/-1 until end of turn. Just some common fodder that would be interesting. It's kind of like Bramble Creeper but not as useless. At the beginning of your upkeep, you gain 1 life for each creature you control. 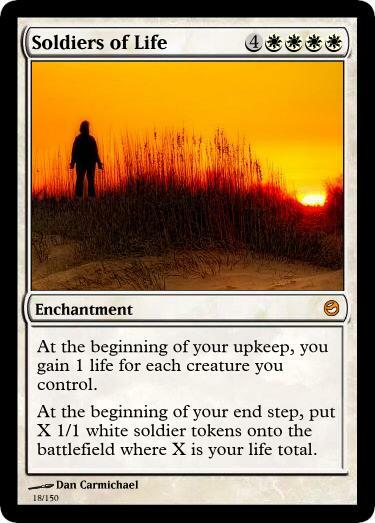 At the beginning of your end step, put X 1/1 white soldier tokens onto the battlefield where X is your life total. 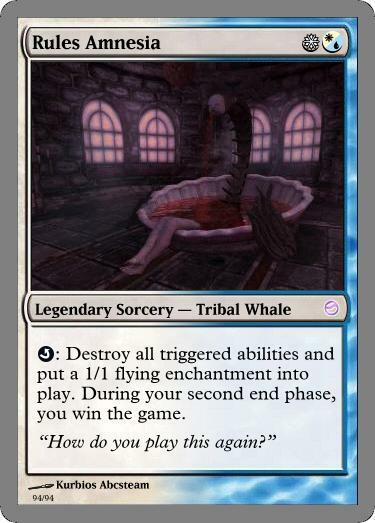 I'm not sure what Lolzor was on when he thought of this card. He actually wanted this to cost 6 mana. Even at eight mana it flat out wins games. Which, an 8-cost card probably should, but man--the power if this card. Even if this was a sorcery it would be crazy. But for it to be recurring? Geez. Well that's all we have this week. Somewhat disappointing, yes but I hope you enjoyed it nonetheless.